About 80 people came out to the screening at Denman Island. I’ve been told that this was 10% of the islands population, so that was quite an impressive turn out! 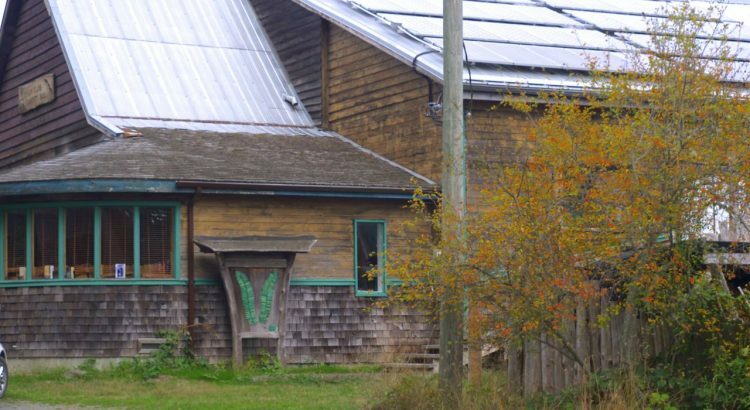 My first impression of the screening venue was seeing that the community hall had a large photo-voltaic solar panel array on the roof. I felt that this was significant and it showed the commitment of this island community to invest in working energy alternatives in a real way. Most of the audience stayed after the screening to engage in discussion of the issues raised in the film. Many thanks to all the people who came out, and especially to Ruth Walmsley who MC’d and organized the event. Eli Hason’s excellent knowledge of the projector and sound systems made the screening go so easy and it looked and sounded great. Thank you Eli! Attending the screenings is always interesting, since each one is different due to the contribution from the viewers/participants. It’s always a learning experience for me and a pleasure to meet new people. I also really appreciated the warm welcome from my hosts, Ruth, Tim, Brad & Heather, who opened their lovely home to me so that I could attend this screening. These events are the result of many people working together and that positive energy was very evident during the evening. The net proceeds of admission went to help the Association for Denman Island Marine Stewards to continue their work.